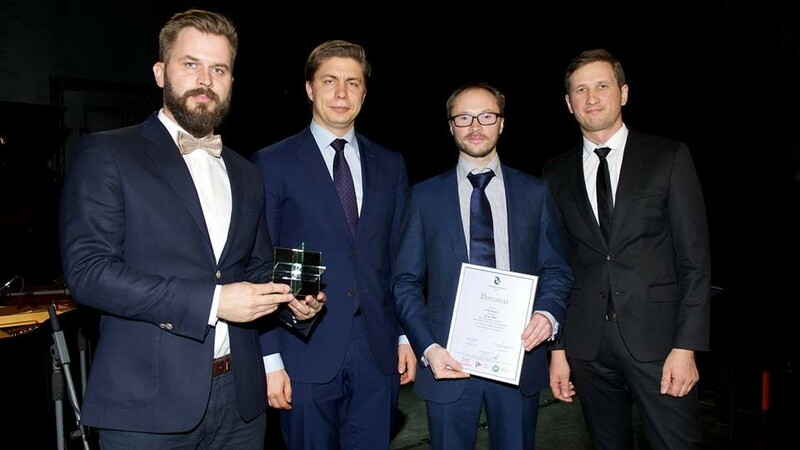 The Lithuanian Confederation of Industrialists (Lietuvos pramoninkų konfederacija) has named the Deeper Smart Sonar PRO + Innovation of the Year for 2016. The confederation, now in its 25th year, unites over 3,000 medium and large enterprises in Lithuania, which together account for over 60% of Lithuanian GDP. In partnership with the Lithuanian Innovation Centre, the confederation gives annual awards for companies and products that are truly innovative. This year, the Deeper PRO + won the product award for innovation. For Deeper’s CEO, Aurelijus Liubinas, the award is yet another recognition of the quality of innovation the team at Deeper are capable of producing. “I would like to thank all the team for their work in producing this truly innovative product, and to say how pleased we are to be receiving another prestigious award in Lithuania,” he said. “Now we look forward to further international development and the launch of more innovative products.” 2016 was a year like no other for Deeper in terms of growth and awards. With its innovative smart sonars on sale in over 50 markets worldwide, it picked up awards in China, Europe and the US.